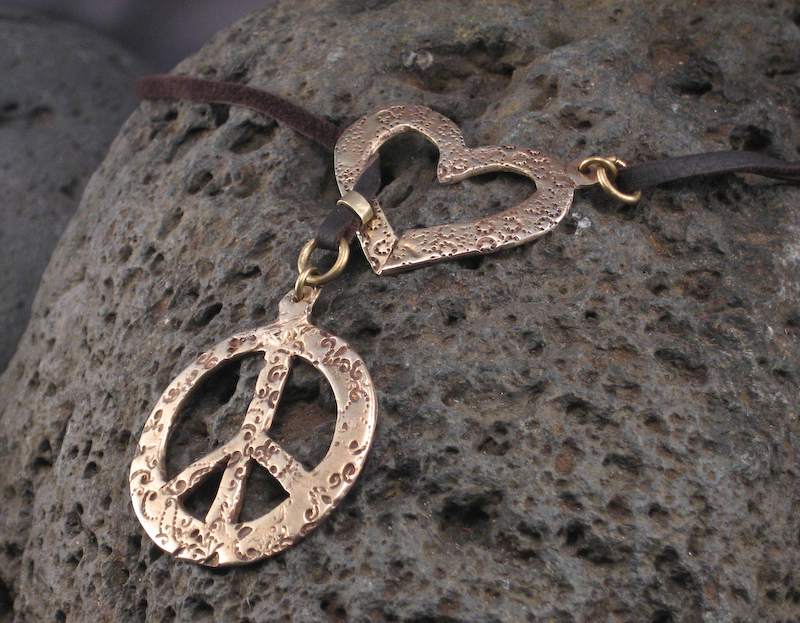 peace and love on a sliding suede lariat--and it's adjustable. 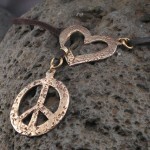 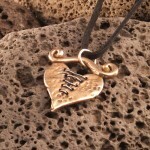 patterned bronze peace sign and heart necklace. 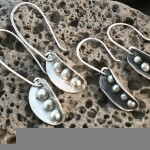 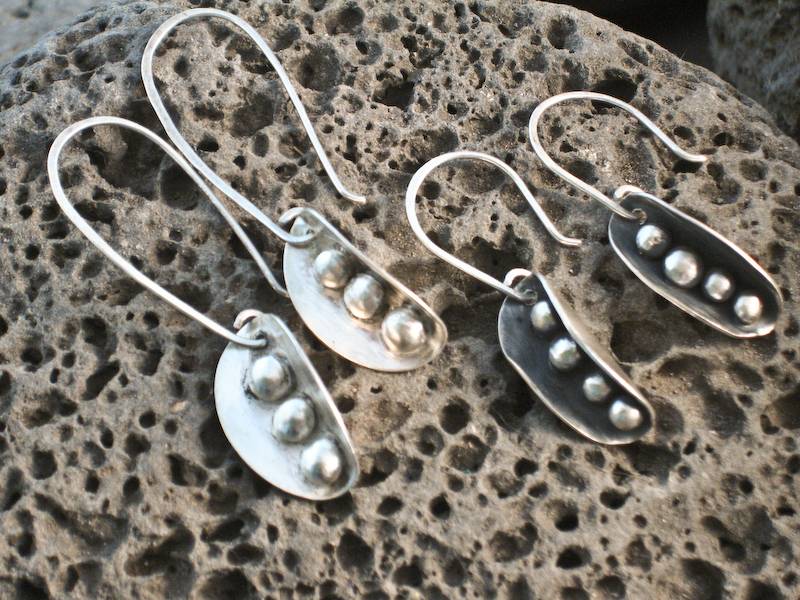 pod earrings with silver balls. 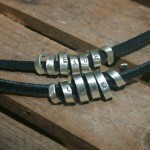 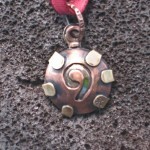 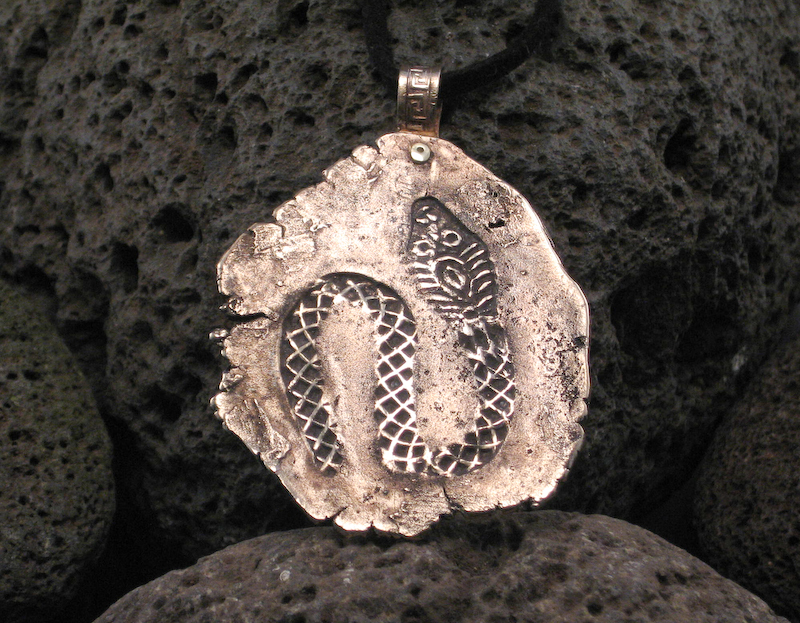 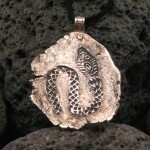 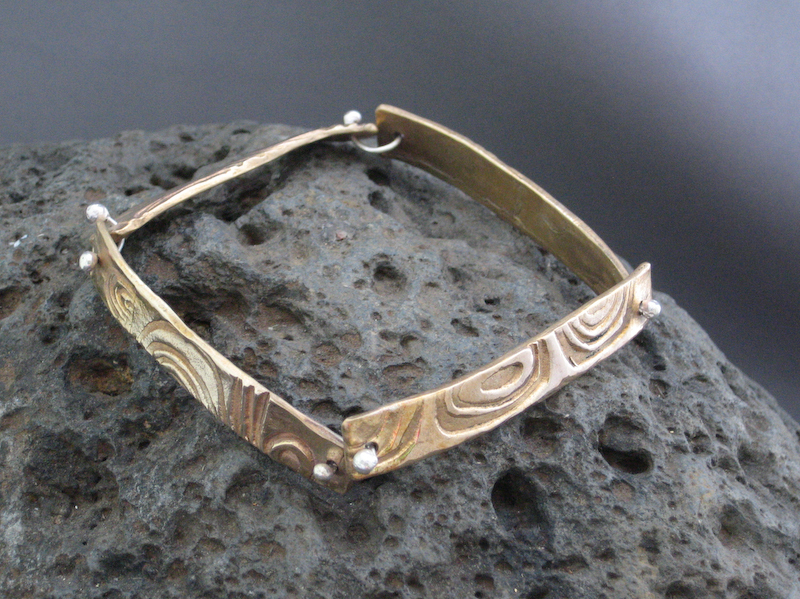 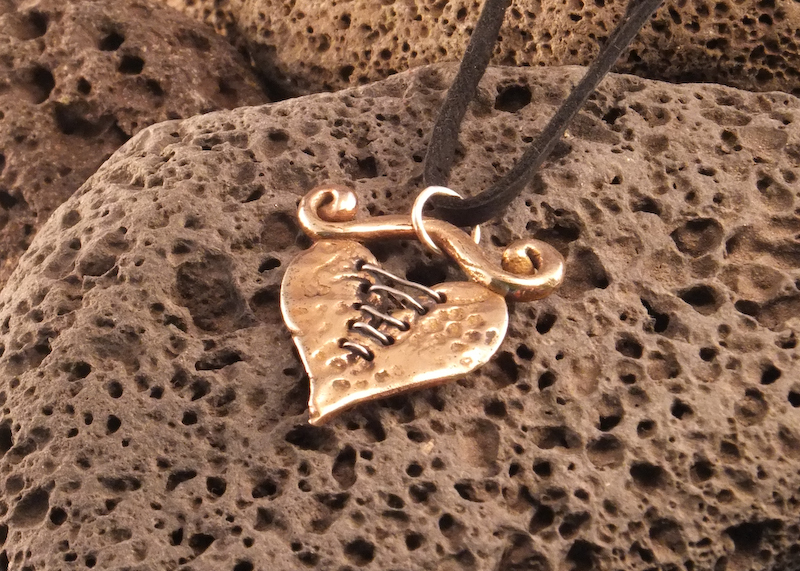 oxidized or plain silver. 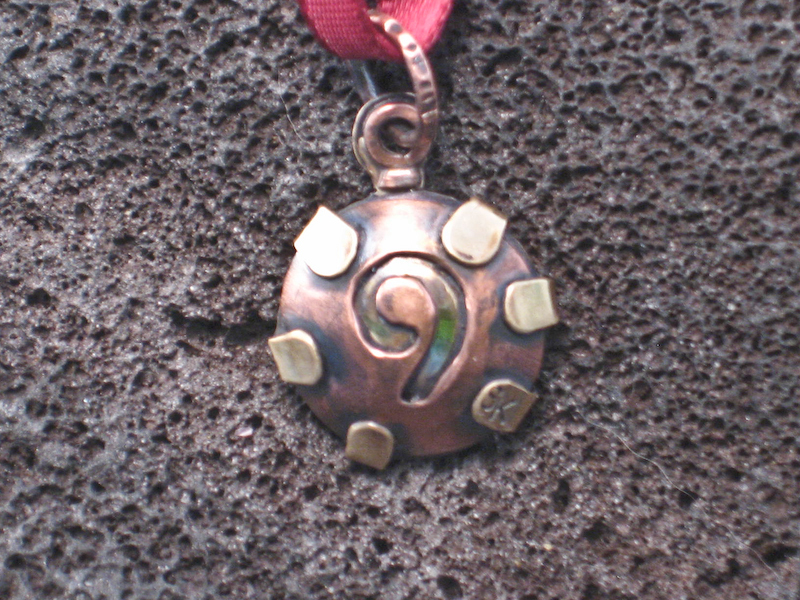 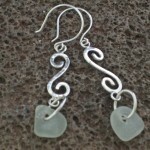 available with long or short earwires. 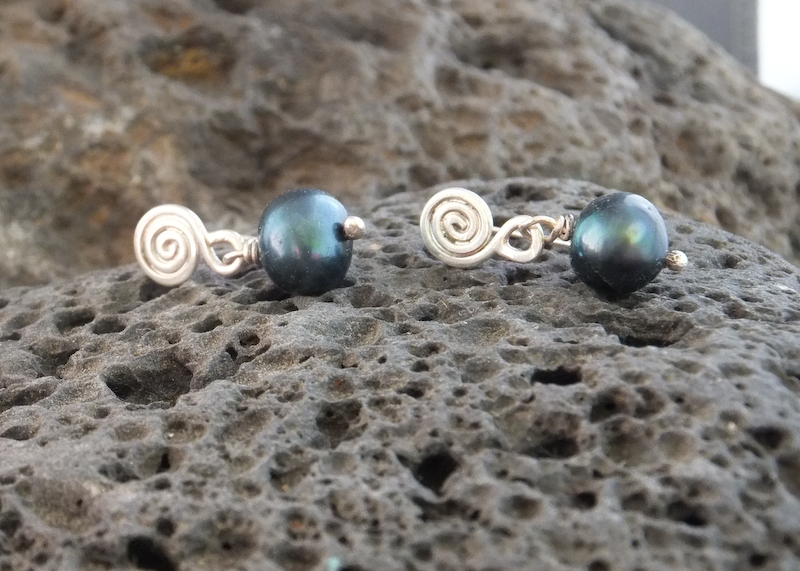 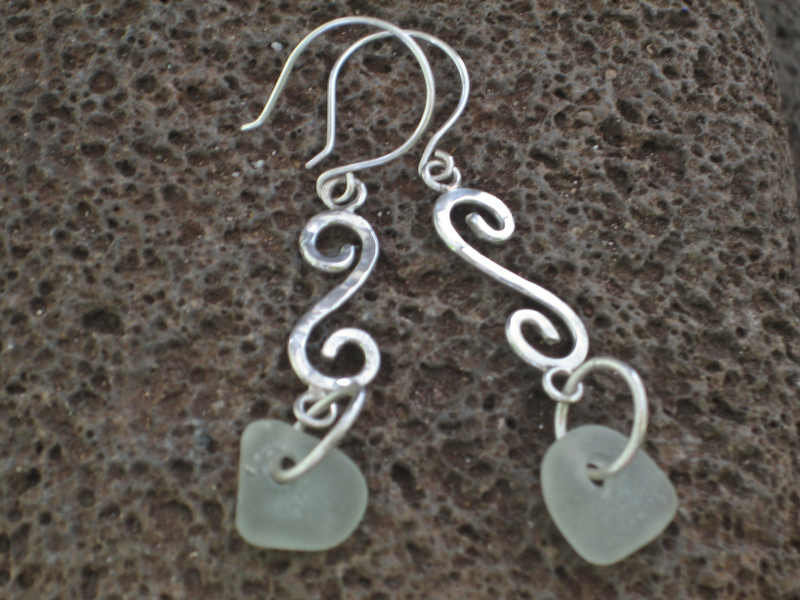 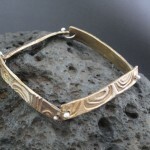 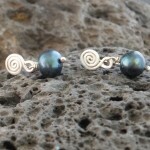 also available with freshwater pearls. 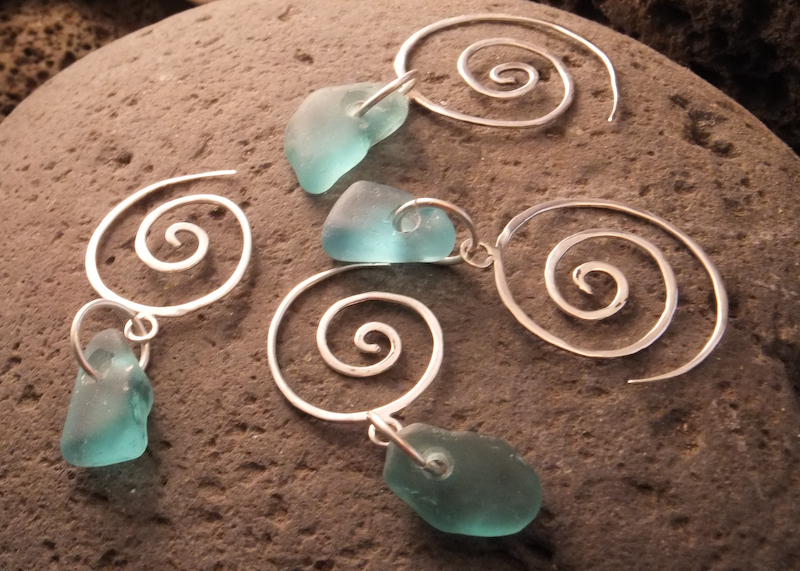 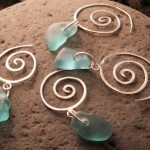 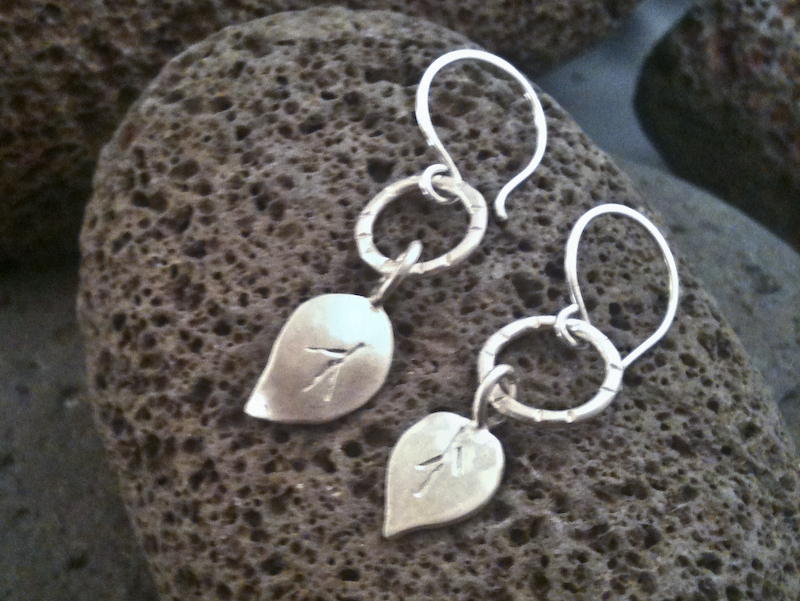 sterling circles with dangling handmade leaves. 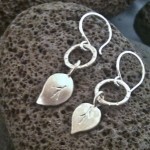 sterling silver leaf earrings. 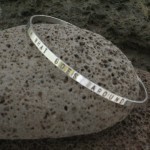 "what goes around comes around" bracelet Say what you gotta say. 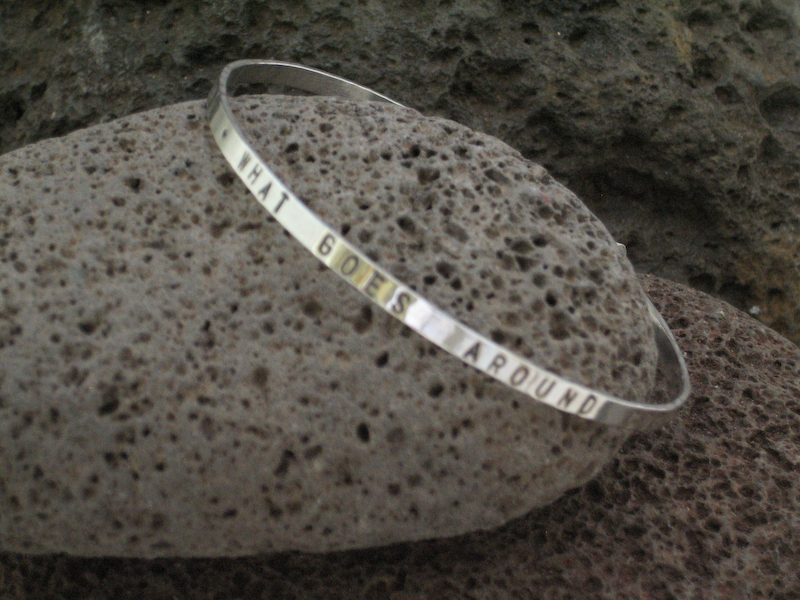 3mm sterling Word bangle. 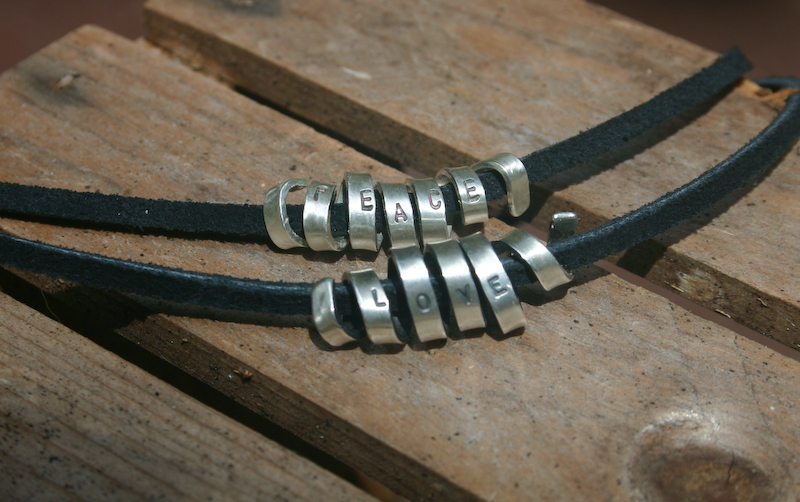 available in 3 and 4mm widths with different sayings.